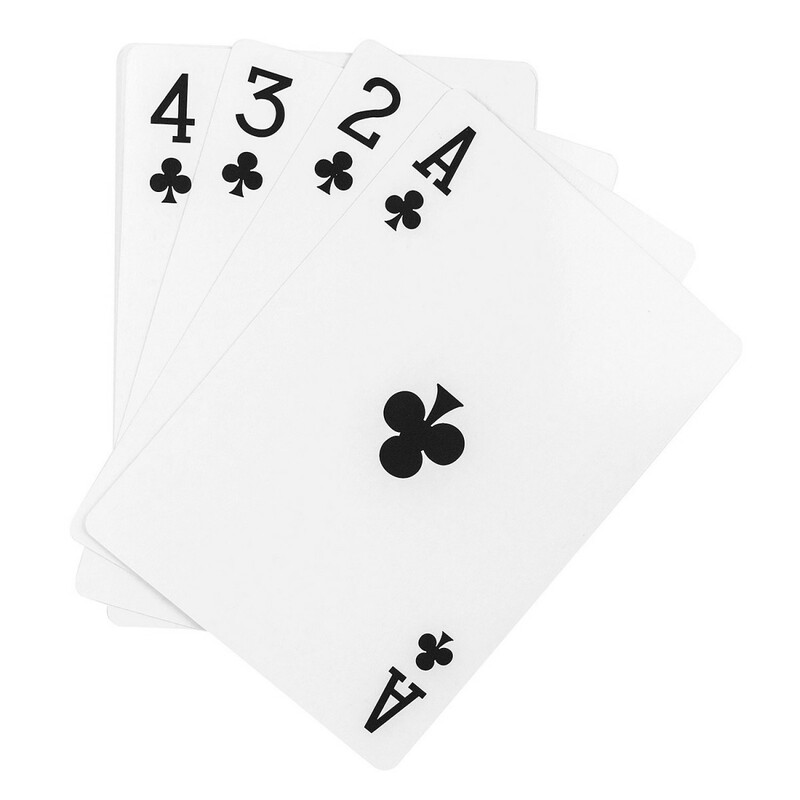 Hit the Poker Party Jackpot with Poker Party Supplies! 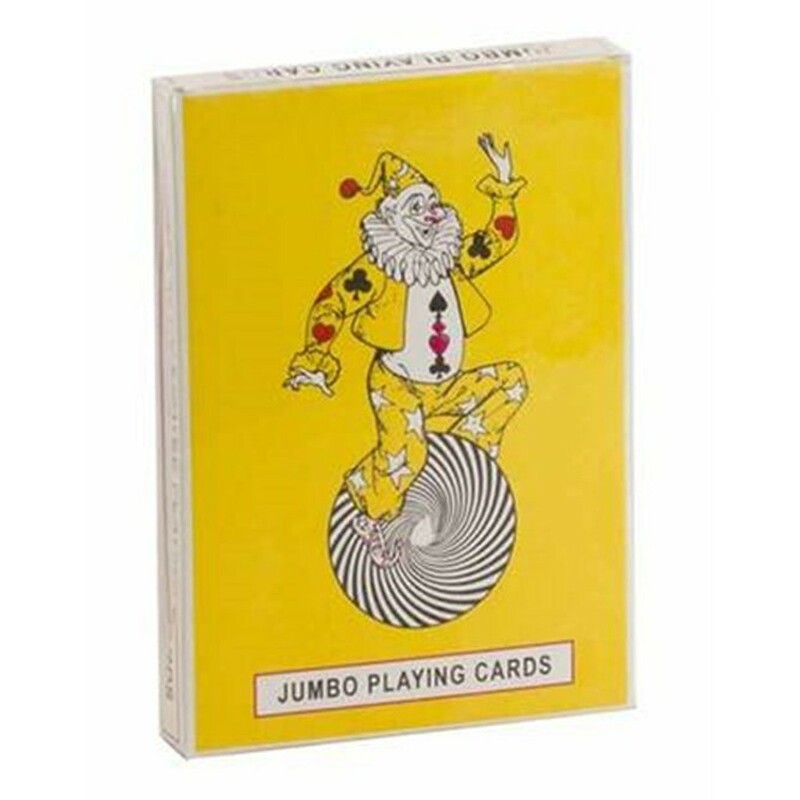 The Jumbo Playing Cards are the perfect addition to your casino night. 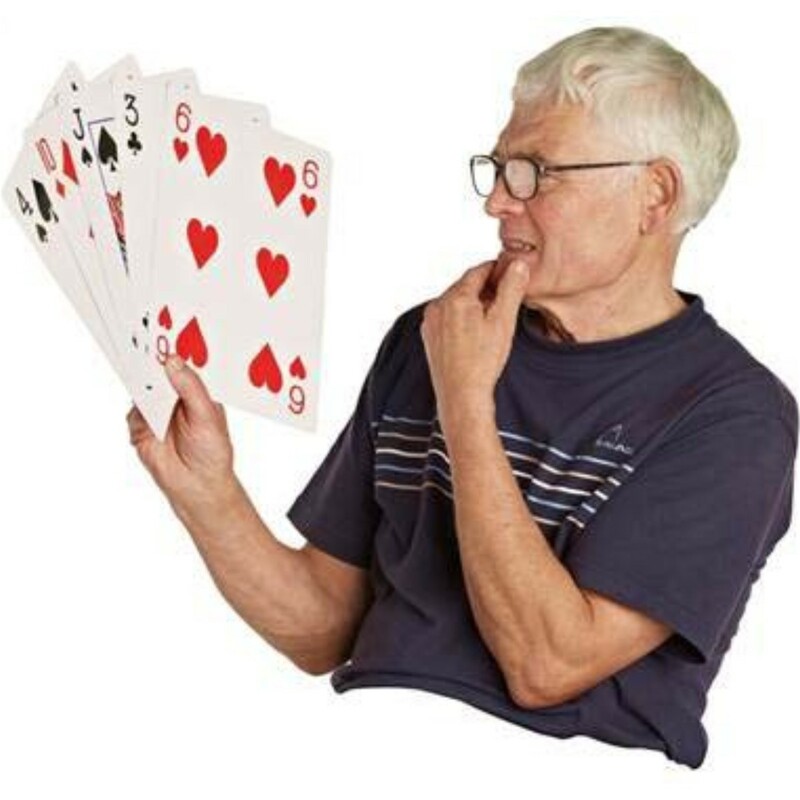 Add some super sized fun to your card playing event. 7" long and 5" wide. 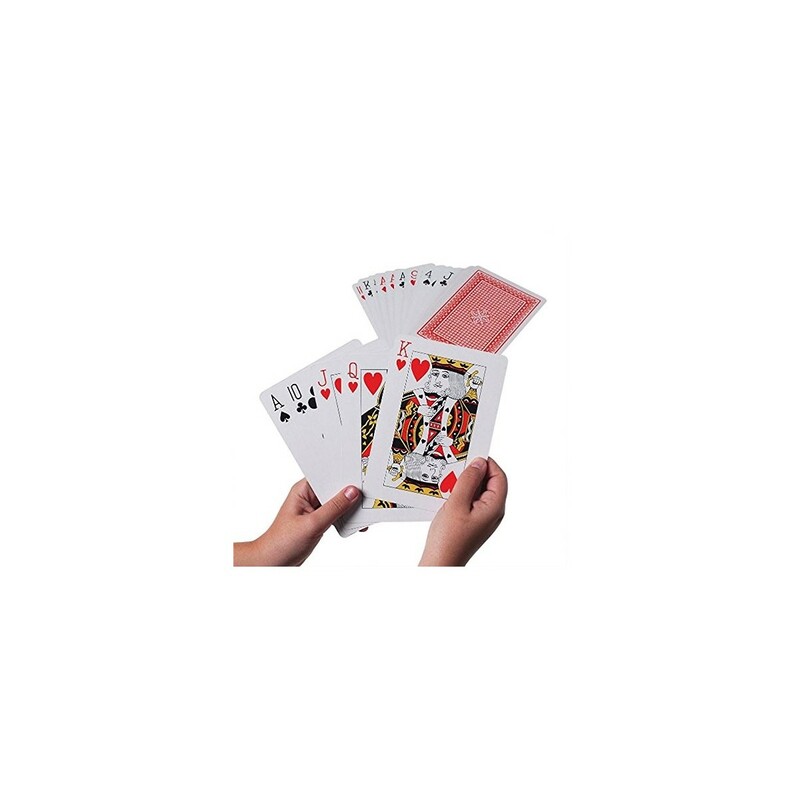 Thin plastic coated playing cards. 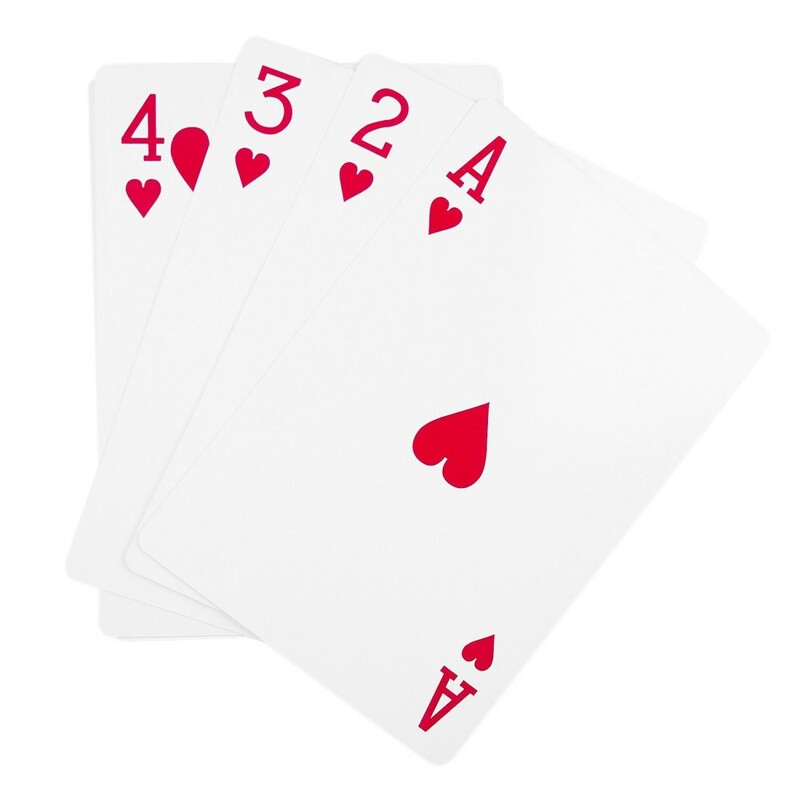 Complete standard deck of playing cards. You too can win big, with the right poker party supplies. Give your guests a great casino night experience with the hottest poker party supplies. Don't take any chance leave no poker supply out, we have the dice, cards and decorations you need to make your casino night party a hit. 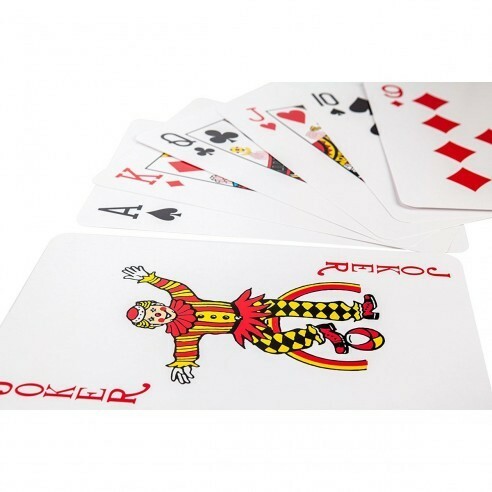 Plus, these playing cards are a perfect addition to any Alice in Wonderland theme party. 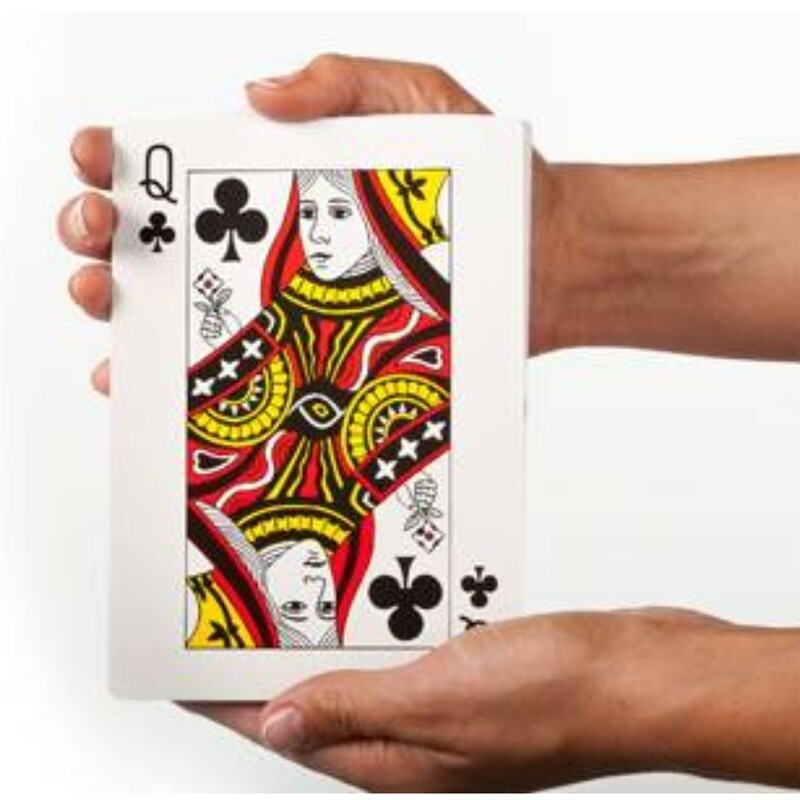 Create the Queen of Heart's court with playing card supplies.